In her memoir "Becoming," set to come out Tuesday, Obama writes candidly about everything from being subjected to racist comments to early struggles in her marriage to Barack Obama as he began his political career and was often away. She writes that they met with a counselor "a handful of times," and she came to realize that she was more "in charge" of her happiness than she had realized. "This was my pivot point," Obama explains. "My moment of self-arrest." Obama denounces Trump for bragging in 2005, on the infamous "Access Hollywood" tape, about sexually assaulting women. She also accuses him of using body language to "stalk" Hillary Clinton, his 2016 opponent, during an election debate. She writes of Trump following Clinton around the stage, standing nearby and "trying to diminish her presence." The Associated Press purchased an early copy of "Becoming," one of the most anticipated political books in recent memory. Obama is admired worldwide and has offered few extensive comments on her White House years. And memoirs by former first ladies are usually best-sellers. Obama launches her promotional tour this month not at a bookstore, but at Chicago's United Center, where tens of thousands of people are scrambling for tickets — from just under $30 to thousands of dollars — to attend the event moderated by Oprah Winfrey. Other stops are planned at large arenas across the nation, with guests including Reese Witherspoon and Sarah Jessica Parker. Ten percent of tickets at each event are being donated to local charities, schools and community groups. 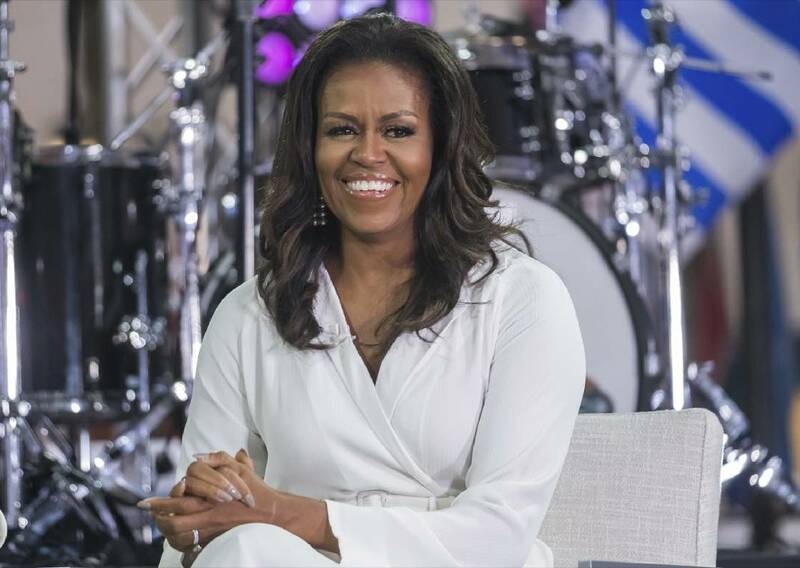 Michelle Obama has long said she has no interest in running for office, although she held a few campaign-style rallies before the midterms urging people to register to vote. The rallies were part of her work as co-chairman of the nonpartisan, nonprofit organization When We All Vote.